2# Pecan Fruitcake - A traditional holiday treat! 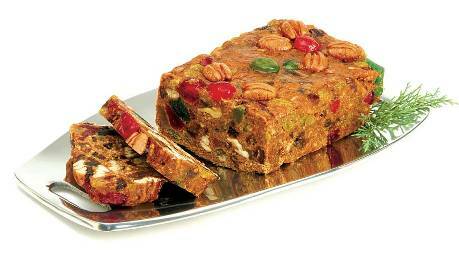 2# Pecan Fruitcake - We only use the finest ingredients including plump pecans, pineapple, cherries, dates and raisins. Each fruitcake is decorated with red and green cherries and our most perfect pecan halves! A traditional holiday treat!